This book is not absolutely perfect, but it is so much better than any other one on the subject that it deserves a 5-star rating. 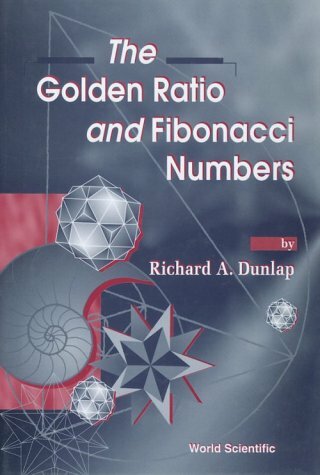 The majority of books on Fibonacci numbers and the golden ratio fall into three categories: (1) Books for children, (2) Mystical mumbo-jumbo, and (3) Books claiming you can use Fibonacci numbers to win in the stock market (!). 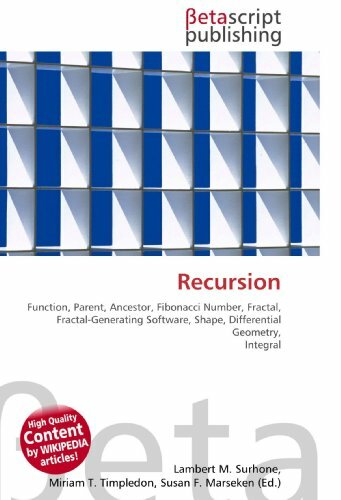 Even Mario Livio's book, which is better than most, uses so much of its space to _debunk_ some of the mystical mumbo-jumbo that it de-emphasizes the wonderful patterns that can be found in the Fibonacci sequence, which is beautiful enough in its mathematical properties that one doesn't need to make such digressions. Dunlap's book, by contrast, _does_ emphasize those patterns. And when it's not directly addressing the Fibonacci sequence's properties, it's discussing things like the golden ratio and Penrose tilings, which are completely within the category of mathematics related to the topic. I really enjoyed the book, even though it has some typographical errors and minor omissions. The formulas collected in the third appendix alone justify buying the book. I could wish that there were more given, but this is the best collection I have seen. The most ubiquitous, and perhaps the most intriguing, number pattern in mathematics is the Fibonacci sequence. In this simple pattern beginning with two ones, each succeeding number is the sum of the two numbers immediately preceding it (1, 1, 2, 3, 5, 8, 13, 21, ad infinitum). Far from being just a curiosity, this sequence recurs in structures found throughout nature—from the arrangement of whorls on a pinecone to the branches of certain plant stems. All of which is astounding evidence for the deep mathematical basis of the natural world. It was very hard to assign a star rating to this book. There are thingss I like very much, and others I definitely do not. On the good side, it is a very attractive presentation of the beautiful patterns appearing in the mathematics of the Fibonacci sequence. It is not quite as heavy on the mathematics as Dunlap's or Vajda's books (which may make it an easier read for those whose math isn't as strong as mine!) but what it does, it does very nicely, using tables and pictures to make the patterns very clear. On the bad side, I wish the authors would not accept so credulously such myths as the one of Greek architect Phidias' using the golden section in his design (this has already been debunked by Livio) or the numerological nonsense promulgated by people who try to spread the idea that the Fibonacci sequence can be used to predict the stock market. People following such misguided ideas are likely to lose their shirts, so this sort of credulous myth-spreading is dangerous, not just bad judgment. So how do you rate a book with so much good and so much bad in it? I've given it 4 stars because the good parts are so good. If the authors had spared us the myths, I would have given it 5. Interesting book, but needs refinements. The book is very interesting both for a technical reader and just a lover. It is easy to read, but has also some rigorous proofs in the appendix. The only limitation is that the book would have needed another revision before publication. There is a lot of good information here, where the maths is standard. Unfortunately the book is very sloppily written and badly edited. Some ideas are well referenced, but others are not attributed, like the Odom construction from the equilateral triangle in a circle. It contains lots of errors and the usual extrapolations that are not valid. For example, the nautilus shell is said to be golden section without any proof (it has nothing to do with the GS) and the cover perpetuates that myth. The Art section is very bad with the usual chosing of data and stretching it to fit the hypothesis. Better to read Mario Levi's book to see why this is rubbish.This is in line with many poorly presented diagrams showing an editorial and author lack of visual sense. For example figure 2-22 is squashed horizontally. There are lots of lists of what people say on the internet with no critical views as if they are trying to sell the book because of this popular view. This perpetuation of mis-information clouds one's ability to believe the rest of the book. It's very sad that what is mostly a good collection is so shoddily presented and mixed up with great deal of wrong information. A great book.Has everything i would need for a research project plus so much more.The author did a great job. The most intriguing number pattern in math is the Fibonacci sequence, a pattern which begins with two ones, each succeeding number of which is the sum of the two numbers immediately preceding it. And it's not just a mathematical incongruity, but occurs throughout nature itself, building the case for the mathematical basis of nature itself. 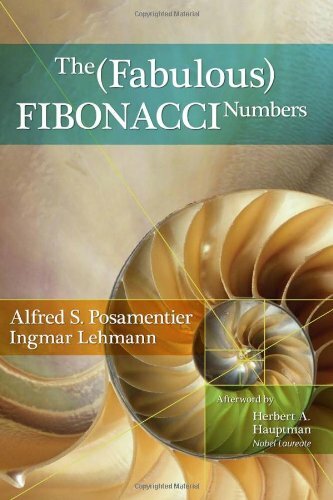 Any college-level collection strong in science and nature - and many a public lending library- will find this a fascinating review of the history of the Fibonacci numbers and their applications to everything from nature to art and the stock market. Since their discovery hundreds of years ago, people have been fascinated by the wondrous properties of Fibonacci numbers. Being of mathematical significance in their own right, Fibonacci numbers have had an impact on areas like art and architecture, and their traces can be found in nature and even the behavior of the stock market. 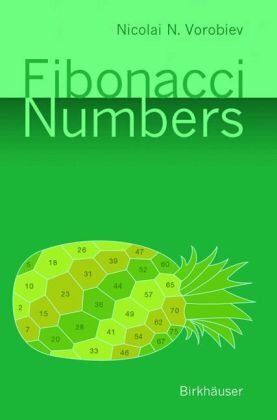 Starting with the basic properties of Fibonacci numbers, the present book explores their relevance in number theory, the theory of continued fractions, geometry and approximation theory. Rather than giving a complete account of the subject, a few chosen examples are treated exhaustively. They not only reveal the bearing of Fibonacci numbers on mathematics, but also provide very readable marvels of mathematical reasoning. This book is the translation of the 6th Russian edition (the first edition appeared in the early fifties and became a standard source of information on the subject). At last, a mathematical explanation of how art works presented in a manner we can all understand. 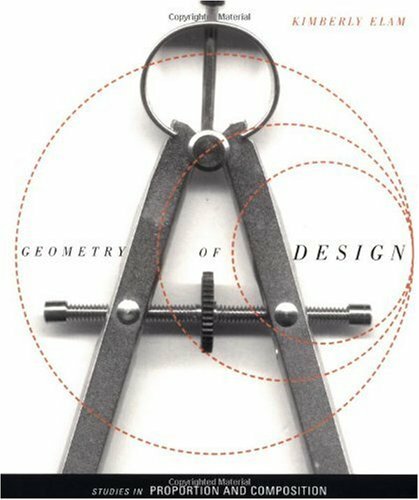 Kimberly Elam takes the reader on a geometrical journey, lending insight and coherence to the design process by exploring the visual relationships that have foundations in mathematics as well as the essential qualities of life. I am always on the look out for info on the Golden Section and this little book has some great info and diagrams on the golden section. There are some interesting analysis of art and graphics from the past. I take some of the comments with a grain of salt but this is a good one for any aspiring artist and graphic designer. I thinkthis book graphical display it point wonderfully. I bought two copies of this book one for me and another for a proffesor of architecture who is a friend of mine. I would highly recomend this book. This is a good book for the graphic design student. It offers information that you probably WILL NOT encounter in a classroom. It has alot of great information for those of us who aren't mathematically savvy, but can understand visual proportions and the book offers alot of examples with nice semi-transparent grids and overlays so that you can view the images within the context of the authors talking points. This book WILL NOT however teach you how to use the information as a strict method of design. In other words, it gives the reader the power to understand and use the information as a compositional aid, not a strict guideline for layouts like a grid system. Overall, I would say that if you feel that you already have a thorough knowledge of grids and/or an understanding of the golden ratio, than this book may be slightly redundant for you, but if you are new to art/design, than this book will offer alot of useful information in a quick, easy to understand read. I would suggest reading this book in conjunction to one of the many great books about grids so that you can gain further understanding of the information. This coffee table book is one of my favorites.It doesn't go in depth into the subject matter but rather grazes over real-world examples with diagrams and simple explanations.Fun book to read, but not for the serious of study.